I decided to created this ticket as a present so that there was something to give at Christmas. 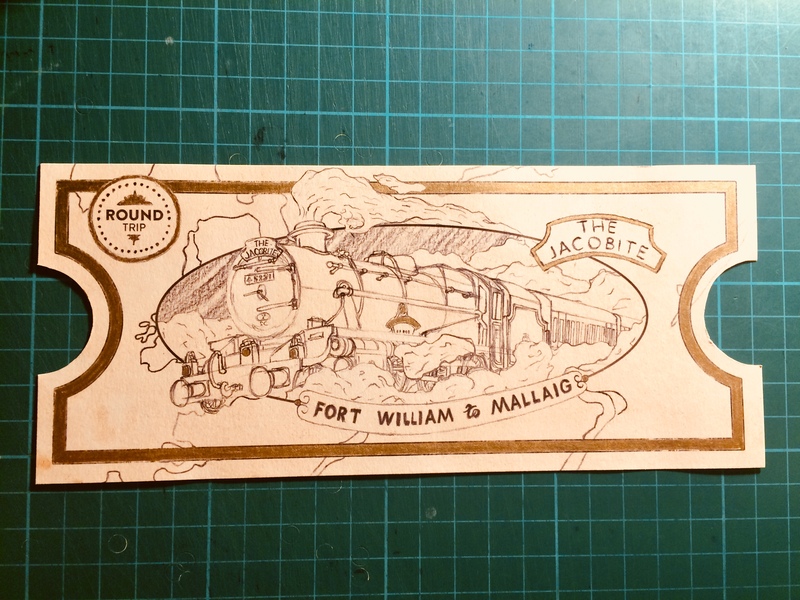 I was inspired by the olden style train tickets as well as the golden ticket in the Polar Express Ticket. 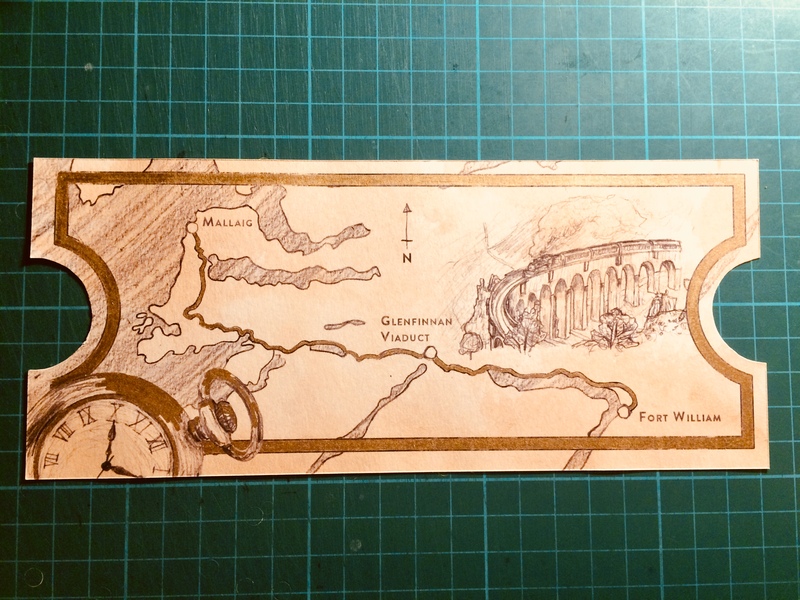 It would be intriguing to see what my design would look like on golden paper, but for the this one I decided to use antique looking paper to print my drawing designs on (after a lot of hand drawings / photoshopping). 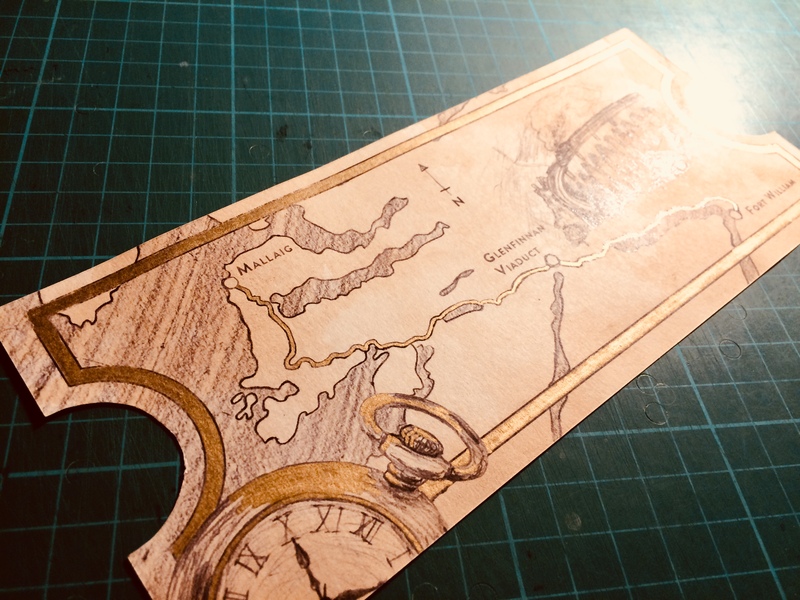 Once it was printed I cut it out and then added gold on some parts of it to give it that extra umph. Anyway I’m looking forward to the trip with Nathan in April where I’ll hopefully get lots of photos of Fort William, the Glenfinnan Viaduct and of course the Jacobite steam train!